If you’ve been wanting a website for your business or hobby and have made the bold decision to make it yourself — good for you! Learning how to make a website today is far easier than ever before with all the resources and tools available on the internet. Better yet, you don’t need a lick of coding knowledge to get started. Today there are a host of tools and services to walk you through the entire process, regardless of what kind of site you want to build. Whether it’s your first attempt at building a website or you just need a refresher on what all the options are, this guide will give you a quick overview of the most important things you need to know, along with a selection of links to other helpful resources on the web. The first step in the process is whittling down your idea into something that’s actually feasible to create. You can make just about anything on the web, and things can get really complicated and off track if you don’t have a clearly defined goal to work toward. If you’re here reading this, you probably already have a general idea of the website you want to make. While you’ll be able to customize the layout and the look of your site later, the most important thing to do at this stage is figuring out are the basics. What’s it going to be called? What do you want its URL to be? What kind of site do you actually want to build? We’d recommend perusing some sites that have a similar goal to your own for ideas. Write down a list of elements from the sites you visit that you like and don’t like. Perhaps even consider pulling out a pen and paper to sketch out some of the pages of your site if you are more of a visual thinker. If you aren’t too sure about the specifics of any of that, don’t fret just yet, as you can iron some those details out as you go about putting the site together. Now comes the (not so) hard part. You actually need to create the site itself. But how do you go about doing that? Building a website today is far easier than it’s ever been thanks to the myriad of tools available. In this section, we’ll break down some of our favorites and the different ways in which you can use them. The most popular way to build a website today, especially if you’ve never done it before, is to use a website builder service. They utilize drag and drop interfaces which should be intuitive for most PC users and streamline many processes such as publishing content, adding links, and making your site compatible with various devices. There are some limitations to them in that you often can’t build more complicated websites and in some cases, they do force you to use a parent domain name, but if you’re willing to pay a small subscription fee, you can have most of the advanced features without the drawbacks. Do bear in mind though that you are often reliant on that service for future updates, so if you strive for independence, you may prefer to go in alone. Services like Squarespace and Wix have improved how much customization you can do without having to know a single thing about HTML. These provide a great entry-level service to start with. For more information, check out our guide to the best website builders to make the right choice for you. Although you could technically bundle these tools under the same banner as website builders, Content Management Systems provide a much greater depth of flexibility than their hand-holding cousins. 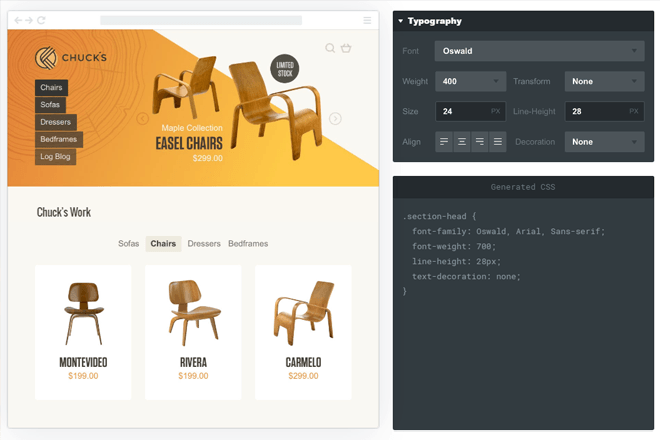 While they tend to be best for making specific types of websites, with additional modules and widgets, you can use a CMS to make whatever you want. In the world of modern website making, this is probably about as hands-on as you want to be without involving a professional, but that doesn’t mean using any of them is overly complicated. There are plenty of guides, tutorials, free themes and widgets to help you make your site and have it looking and operating just how you want it. WordPress is the most popular CMS in use today, with almost 30 percent of all websites built on it. It’s even the platform that DigitalTrends runs on, so you know it’s good. That popularity isn’t without reason and it’s part of the reason that it’s such a solid recommendation. With so many people using it, updates are regular and there is a tonne of support and ways to customize it. At its core, WordPress is easy to use and navigate around and caters to all sorts of websites. While specifically good at handling blog and e-commerce sites, you can make it into what you want with a host of free and premium widget options. Arguably the most difficult of these three recommended CMS, Drupal is still a popular choice, partly because it’s the most versatile. Although you may want to learn a little HTML and even CSS and PHP in order to fully utilize it, it still has tens of thousands of free plugins to expand its capabilities. That versatility is what makes Drupal a solid choice for those looking to build something that’s not a typical blog or storefront. There’s some evidence to suggest it can produce faster sites too, so if you’re looking to build something content heavy, Drupal may be your best bet. Although Joomla is no way near as popular as the above alternatives, it’s still a decent choice of CMS for building a modern website. It serves as a middle ground between WordPress and Drupal, where you don’t need super technical skills to get the most out of it, but it’s not as beginner-friendly as WordPress. Best suited to e-commerce and social websites, Joomla also has free themes and plugins, though fewer than the other CMS listed here. It does, however, feature a robust help system and community that is easier to use and parse than Drupal’s more technical guides. Do you need to know how to code? The short answer? No. As much as there’s nothing stopping you learning how to build a website yourself from the ground up, the days of that being a popular choice are long gone. There are also a number of modern security concerns and device compatibility issues to consider which are far beyond the reach of this entry-point guide. In reality, the best way to get your first website online is to use a service or toolset that’s made exactly for someone like you. If you want to learn a little about the basics of coding a website, it can’t hurt, but it’s far from necessary. For those looking to learn a little HTML or CSS, CodeAcademy is a great starting point. It offers free programming tutorials that will teach you as you code, and there are a few apps that can help you learn to code on the go. In order to get your site up and running, you need to register a domain. If you’re using a website building service, then you’ll be prompted to buy the domain before getting started. Some website builders like Squarespace offer deals within their service to streamline the process a bit, but whether you use that or not, make sure you have your domain secured before getting started. If you’re using a CMS and building the site yourself, you need to go through a domain name registrar. There are dozens of these to choose from, and lucky for you, we’ve got a pretty solid roundup of the best domain name registrars. Be sure to shop around until you find one that suits your needs — don’t necessarily just go with the cheapest one you see. Domain name registration and hosting are tightly connected, and many services offer the two of them bundled together. Don’t let that confuse you — they’re not the same thing. If buying a domain name is akin to securing your address, hosting is the plot of land you actually build your new digital property on. 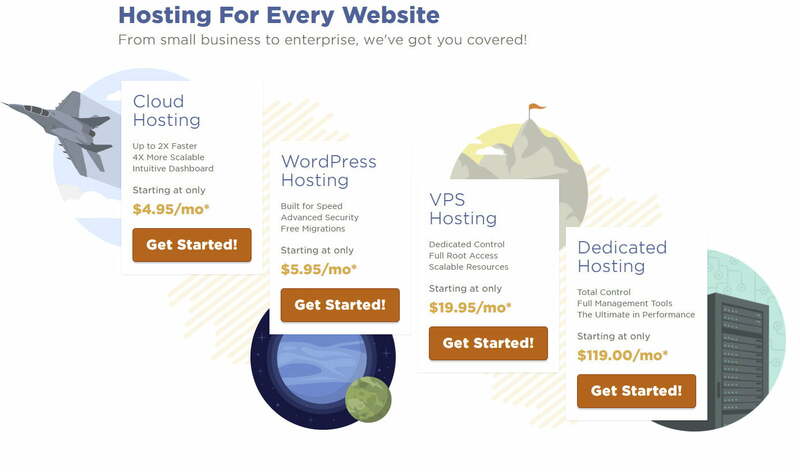 Hosting generally costs a monthly fee based on your bandwidth and availability needs, and there are tons of companies out there that offer it. If you end up using a website building service, chances are your hosting has been bundled in as part of that package. If you’re using a CMS though, you’ll need to secure your own hosting. These are the best website hosts as far as we’re concerned. If you’d rather save some money while you practice building your site, these free alternatives should fit the bill. When building a website today, we’d recommend either a website building service or using one of the most popular CMS. Although building your own site with a CMS is harder, it does offer more freedom and there is plenty of help out there for those that need it. If you don’t use a website builder, you’ll need to secure a domain name and hosting too, but the links above in those respective sections will help you through that part of the process. Updated: 11/02/2017 by Jon Martindale – Updated methods and links. The original article was posted on October 6 2013.